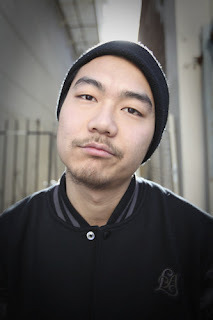 Write Well Always: Dumbfoundead. Unsigned Artist of the Week. Dumbfoundead. Unsigned Artist of the Week. Our Unsigned Artist of the week is Dumbfoundead from Los Angeles, California. An accomplished Grind-Time Battler and talented rapper, Dumbfoundead, is an incredible lyrical monster who meshes his punchline style to create a sound that reminds the world of Hip Hop's golden age. He has escaped from the stigma of Battle rappers who can't make songs, by embracing his style and flowing well over beats effortlessly and adding substance to his music while using his lyrical skill to present it with an outstanding level of creativity. On the production side of Dumbfoundead's music are intelligent multi-dimensional beats that include cuts from DJ Zo that bring the overall production that brings out the full Hip Hop feel of Dumbfoundead's music. Put simply, Dumbfoundead easily solidifies his spot as a Hip Hop Emcee, who fuses all that is good in Hip Hop's past with a vision and style that catapults his music far beyond a lot of what we hear today. Dumbfoundead Kills Everything! He's A Lyrical Assasin. He's Up There With Drake And Eminem.My Fav Songs Are "Different Galaxies"&"K-Town Story" Hit Me Up On Myspace,MCICE[LIGIT],And .:.MCICE.:. Goose. Unsigned Artist of the Week. JayVon Phillips. Unsigned Artist of the Week.